From Thomas De Quincey’s opium-fueled adventures amid London’s crowds to Arthur Conan Doyle’s detective stories, urban experience has provided no end of material for the literary imagination. This course will consider how nineteenth-century literature helped transform the city into the symbolic nerve center of modern social life. Among our key topics will be the sensory dimensions of urbanism. 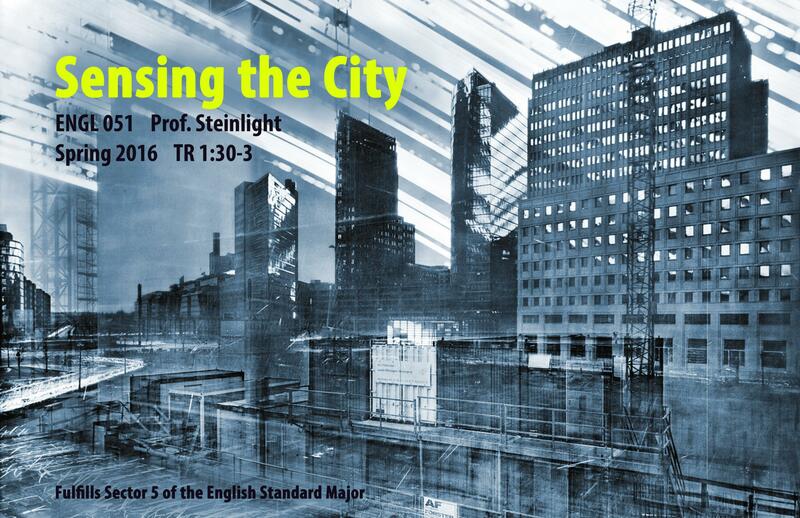 We will discuss the city’s effects on the senses as well as artists’ and social scientists’ varied efforts to make the internal dynamics of cities perceptible, whether in the form of still and moving images, sound, maps, lyric poetry, or narrative. As we read Romantic and Victorian writing in particular, we will also consider the paradoxes of urban representation: scenes of unity and of alienation, of newfound freedom and new forms of oppression, of total knowledge and impenetrable mystery, of the enforcement of social norms and their violation. To make sense of these conflicting meanings, we will examine what versions of the city take shape in fiction by Charles Dickens, Edgar Allan Poe, Honoré de Balzac, Elizabeth Gaskell, Virginia Woolf, and Richard Wright, poetry by William Blake, William Wordsworth, Charles Baudelaire, and Walt Whitman, photography, Impressionist painting, and film, and contemporary writing and media. We will discuss the practice of spectatorship, the poetics and politics of urban space, urban cartography and the rhetoric of exploration, socioeconomic stratification and racial segregation, architecture and infrastructure, representations of crowds and of bodily proximity to strangers, gender and sexuality in the city, new modes of perception and cognition, scientific analyses of built environments, and a range of artistic responses to the world-transforming conditions of modernity. Requirements include participation, two short papers, and a longer final paper.